LUNCH: On your own at Beneventi’s. Then we will go to Bingen to Vanguard Nursery to see where the bedding plants and baskets that we buy from stores such as Costco, Fred Meyer, and Grocery Outlet are grown. After lunch we will visit Dickey Farms, located right along the Columbia River in Bingen. Dickey Farms is the oldest operating farm in Washington State and popular for their delicious corn that they grow and sell. Our last stop will be at the Dickey Farms Store where we can purchase local produce or products made or grown in the Gorge area. This is where we can get our corn to eat for dinner and huckleberry pie for dessert!! Friday, August 10, 8:50 to 11:30 AM via remote video conference; 78th Street Heritage Farm, 1919 NE 78th Street, Vancouver, WA 98665. • Regulatory Strategies and Recognition of the Southern Green Stink Bug—Dr. Chris Looney, WSDA. Saturday August 11, 2018 6 – 9 p.m.
Join us for our annual summer event, Twilight in the Garden. Once a year we remain open from 6 until 9pm to celebrate with the community and say thank you for making Joy Creek a part of your gardening experience. Come join us for a home-grown evening of locally made treats and refreshments and live music in the garden by our friends and local musicians The Noted. Celebrate the transformative powers of this magic time of day by observing the many qualities twilight brings to the garden such as fragrance, evening lighting and wildlife. You can experience the garden and nursery both because the retail area will remain open throughout the evening. This is a special event for us all and we look forward to seeing you here. Free and open to the public. Do you like the idea of picking an apple or pear from a tree right in your yard? Does the idea of biting into a freshly picked ripe peach while you stand under the tree in your yard sound good? 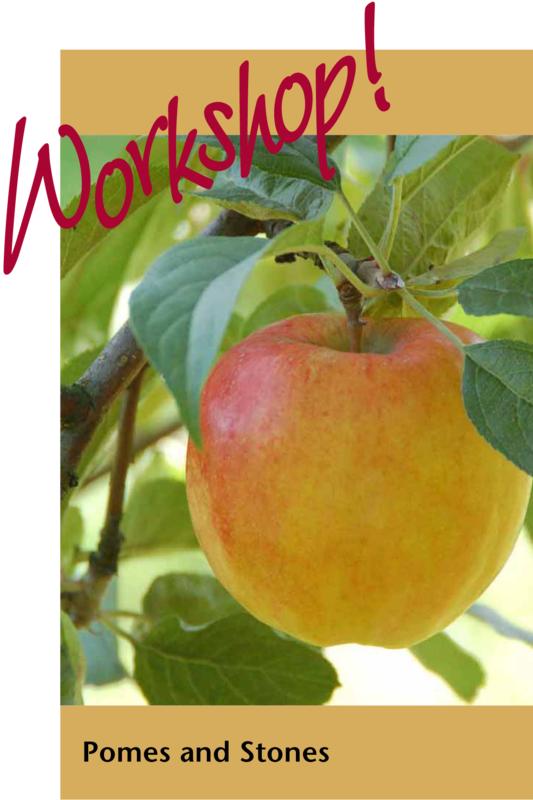 Before you rush out to buy a fruit tree, attend this seminar to learn some basic facts about how to select a tree, plant it, and take care of it. The importance of pruning, tree maintenance, fruit thinning, and disease and pest management will be covered. Emphasis will be on organic practices. This workshop is put on in collaboration with Clark County Public Health – Solid Waste Outreach. Why is it important to save seeds? Find answers to this and more. We will discuss how to save, clean and store seeds from suitable plants. 10 a.m. to noon, Sat. August 18, 2018 at CASEE Center, Bldg. B, Room 205, 11104 NE 149th St., Brush Prairie, WA. NatureScaping classes are free for members ($20 per year; $15 for seniors), or $15 per class for nonmembers. Register at info@naturescaping.org or marlene52ns@gmail.com or call 360-737-1160. Orchids in bloom make such beautiful gifts, but most of them fail to survive for long. At this workshop Master Gardener Janis McBride will demonstrate the step-by-step methods that will help you easily turn those gifts into healthy, colorful, long-blooming orchids in your own home. Understanding how orchids naturally grow provides the basis for the crucial re-potting techniques that will be taught in a hands-on setting – bring your own gift orchid to be repotted. Pest management and nutrition will be covered briefly. Saturday, Aug. 25 from 10 AM to 12:30 PM at Pacific Park —Natural Demonstration Area; NE 18th St & NE 172nd Ave., Vancouver, WA 98684. FREE with 45 minutes of service at the demo garden.